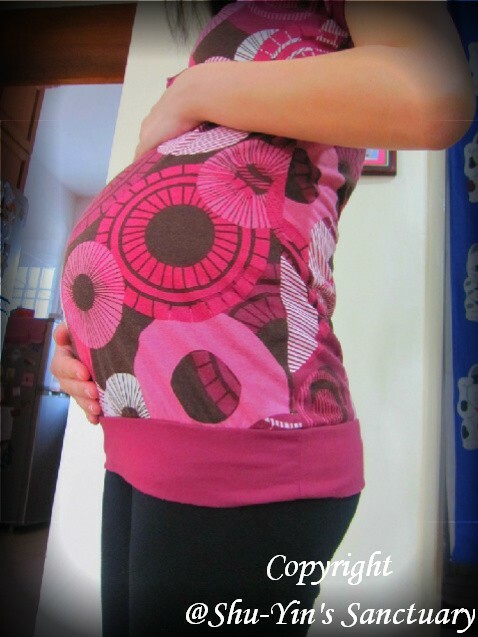 I am almost 6 month preggy with 'Lil Bub and I am starting to feel the weight of my tummy. My tummy is growing bigger exponentially now that I am at the end of my 2nd trimester. I felt my tummy grew bigger even in just 10 days in Melbourne. I have always have an arch back posture even before I was pregnant. And now that I am preggy, my back seems to arch more. And even with my big tummy, my hands and legs are still in their original sizes, or at least they didn't grow big much. And believe it or not, even with this tummy size, if you look at me from behind, you wouldn't even know I am pregnant! Haha...is a miracle, really. Just got back from the scheduled gynae visit, and this time I brought Shern along. I thought it would be a great way to share the process of me having a baby, and him a baby brother. However, I chose the wrong week to bring him. We waited for 2 hours before Dr. Eric called me in. Luckily, Shern was behaving quite well, although he was skipping around and couldn't sit still. During the ultrasound, it shows 'Lil Bub's head is 2 weeks bigger than my gestation week 25. And his overall length is 1 week bigger. Gynae said is pretty normal and I remember having the same case when I had Shern in my tummy as well.